'Auckland NOW' ran a feature some time ago - by Aimee Gulliver on the gathering of New Zealand WWII veterans who fought at Monte Cassino in Italy with Prince Harry as the honoured Royal Guest for this dedicated occasion. Prince Harry attended a two-hour ceremony at the Commonwealth cemetery with Governor-General Sir Jerry Mateparae commemorating the 2176 New Zealanders who died, on this the 70th anniversary of the Allied victory that cost so dearly. Thirty-eight New Zealand veterans attended the ceremony, which included contemporary accounts of the battle, and a minute’s silence was observed after a bugler had sounded the Last Post anyone bothers! Monte Cassino was a mountain monastery and therefore a strategic point for the Nazi forces from where the entire southern plain was observable and it needed to be taken. From February 1944 four major attacks on the Monastery saw failure after failure. The Polish forces took the heaviest casualties. This was one of the bloodiest battles of World War II, the Allied troops made slow progress in removing Nazi forces from the rocky outcrop which was home to the 1400 year-old Benedictine monastery of Monte Cassino. The US Air Force dropped a huge number of bombs on the Monastery trying to dislodge the Germans. New Zealand forces played a big part in the second and third battles, before Allied forces finally managed to break through German lines in May 1944. 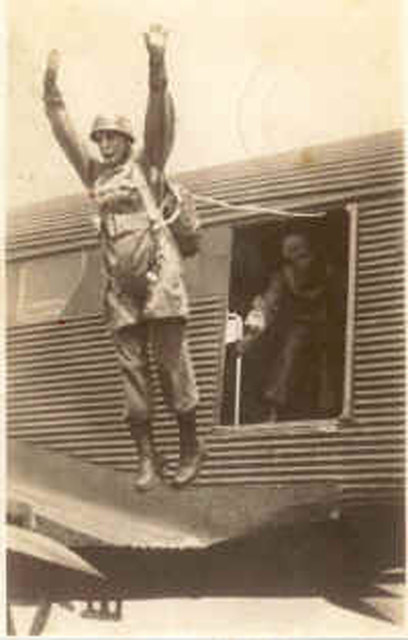 Harry Henkel was one of the defenders of Monte Cassino and his e-book “Boy Parachutist 1943-45” details the defence of this strategic position. He continues: “It is remarkable that in the beginning Colonial (New Zealand, Sudanese and Indian) and European troops such as the Poles and Czechs were used to assault the mountain. They took a terrible punishment. 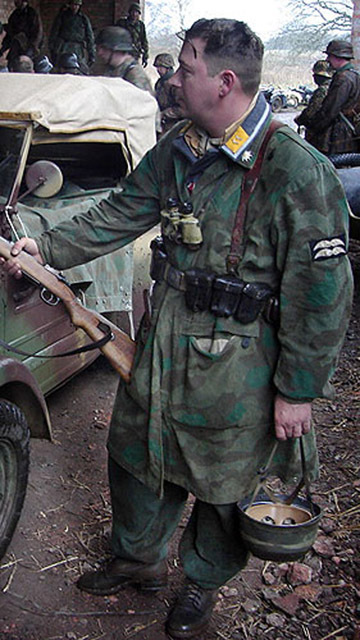 Every German was a machine gunner. We also had the added advantage of rolling hand grenades down the mountain. We didn't even have to throw them. The forty degree angle of the incline of the mountain gave precious little assistance to the attacking Allies. “Our machine emplacements changed from day to day because of the bombardments which threw the stones about. So although the stones protected us and we knew how to duck when artillery came toward us, the stones nonetheless were thrown about like match sticks. This served two purposes. One, it gave us new gun positions, and two, the Allies often targeted what was a gun position. Their own artillery in effect saved our lives”. And again: “My machine gun was always tilted down toward the enemy at that 40 degree angle and I cannot recall how many boxes of ammunition that I used during this period. It was my number two's duty to replenish the ammunition boxes and he carried two boxes at a time up from the dungeons across the yard to my defensive position. I never shot at any single target in this time, it was always a swathe of shooting down the hill. 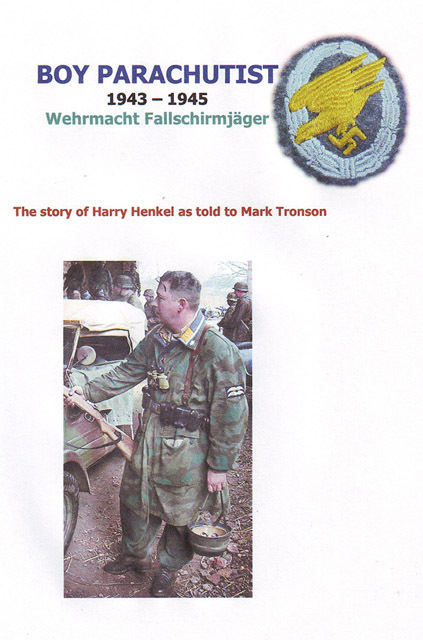 Harry Henkel was wounded during the battle for Monte Cassino and evacuated to Germany. He fought in North Africa, Catalina (Sicily), Monte Cassino and the Russian Front. After the war he became a translator (his mother was English) and migrated to Australia in 1952. He died two years ago and was a member of the Banora Point Baptist Church having been won to Salvation in Jesus Christ in 1988. Harry Henkel sat with me for six months in 2008 to record his story in those dramatic three years - a 16 year old boy parachutist.